The Joker has never been as funny as he is in Vinyl Idolz form! This Batman Classic 1966 TV Series Joker Vinyl Idolz Figure looks just like Caesar Romero’s Joker, even with his painted mustache! 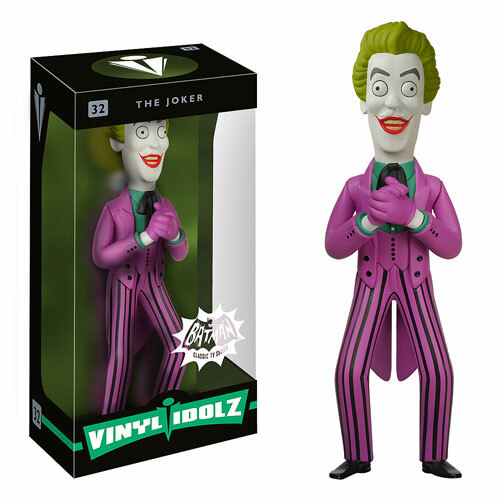 Vinyl figure features the Joker, maniacally rubbing his hands together and stands 8-inches tall. Age 14 and up.